When looking for a plumbing company, you need to look for something better than a firm that simply promises to “get the job done”. That’s all well and good, but when it’s your home at stake, what you need is a plumbing expert who goes above and beyond the call of duty to ensure that you’re totally satisfied with the company’s work. The Sunny Plumber is one such company, promoting its values of trust, reliability, and skill above all else with the aim of achieving 100 percent satisfaction from every single customer it serves. The five year old company is headquartered in Corona, CA., serving four major locations including Phoenix, Tuscon, Las Vegas and Southern California, they employ only the best and brightest plumbers in the industry and ensure they receive ongoing training to deliver the best possible service to their customers. What’s more, each of the company’s plumbers undergoes background checks and drug testing, so customers are comfortable with allowing them access to their homes. As one of the largest plumbing firms, The Sunny Plumber is uniquely qualified to offer homeowners timely solutions to their plumbing pitfalls in a timely fashion. It applies its philosophy of trust, reliability, and skill at all hours, even out of office hours, to provide some of the best emergency plumbing services in the region. The company also boasts a number of strategic alliances with suppliers and manufacturers that them to offer some of the most competitive prices too. With regards to the services they offer The Sunny Plumber has a qualified team to handle it all, from basic plumbing repairs, drain and sewer cleaning, water heater services, slab leaks and more. 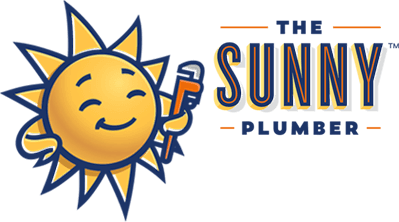 For satisfied customers, The Sunny Plumber also offers additional services under its Sunshine Club membership scheme, which is designed to ensure that the homeowners plumbing system will continue to function properly long after it’s been installed or repaired. Benefits of the Sunshine Club membership include a reduced risk of flooding thanks to the routine water heater maintenance the company provides, sewer line camera inspections and a visual assessment of pipes to check for leaks and corrosion. The Sunshine Club is an extremely beneficial add-on for customers that helps set The Sunny Plumber apart from rival companies. Is The Sunny Plumber the right choice for your home or businesses’ plumbing needs? Only you can decide that, but we feel pretty confident in saying the company is well worth a try for anyone who wants a permanent fix to their plumbing headaches.